Pressure Transducer Description and uses- How to use. These are general instructions for setting up a Pressure monitoring Transducer with the disposable pressure transducer. Since kit configurations and procedures vary according to hospital references, it is the responsibility of the hospital to determine exact policies and procedures. Caution: The use of lipids with the disposable pressure transducer may compromise product integrity. Pressure monitoring kit with the disposable sterile pressure transducer, the single-use kit that monitors pressures when attached to pressure monitoring catheters. The disposable sterile cable (available in 12-inch/3O cm and 48-inch/120 cm lengths) interfaces exclusively with an Edwards cable, specifically wired for the monitor. The disposable pressure transducer has a straight, flow-through design across the pressure sensor, and is available with or without the integral flush device. The pressure monitoring kit with disposable pressure transducer is for use on patients requiring intravascular, intracranial, or intrauterine pressure monitoring, Intra Abdominal pressure monitoring etc. There are no absolute contraindications for using the disposable pressure transducer in patients requiring invasive pressure monitoring. Flush devices not recommended to use when monitoring intracranial monitoring. The assembly tested for dynamic response by observing the pressure waveform on an oscilloscope or monitor. Bedside determination of the dynamic response of the catheter, monitor, kit, and transducer system is done after the system purged, attached to the patient, zeroed, and calibrated. A square-wave test may be performed by pulling the Snap-Tab and releasing quickly. Note: Poor dynamic response can be caused by air bubbles, clotting, excessive length of tubing, excessively compliant pressure tubing, small bore tubing, loose connections, or leaks. Follow hospital policies and procedures for a frequency of zeroing the transducer and monitor and for replacing and maintaining pressure monitoring lines. The material well precalibrated and has a negligible drift with time (see Specifications). Adjust zero pressure reference each time level of the patient changes. caution: When rechecking zero or verifying accuracy, ensure that the non-vented cap removed before opening the transducer vent port to the atmosphere. periodically check fluid path for air bubbles. Ensure that connecting lines and stopcocks remain tightly fitted. Periodically observe the drip chamber to verify that the continuous flush rate is as desired. The Centers for Disease Control recommends replacing disposable or reusable transducers at 96-hour intervals. Replace other components of the system, including the tubing, continuous-flush device, and flush solution, at the time replacement. Do not use the flush device during intracranial pressure monitoring. 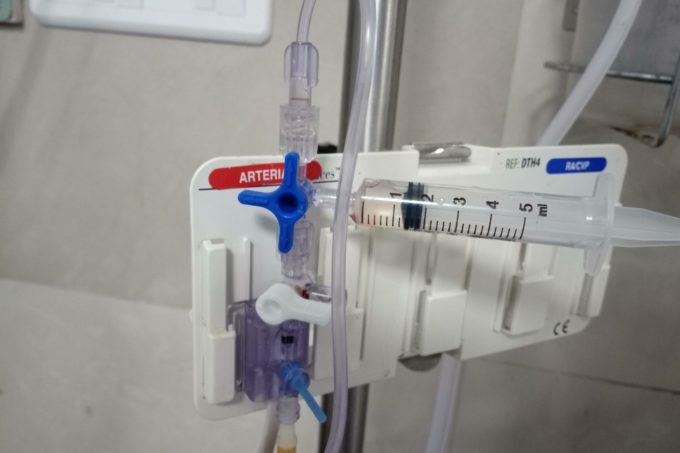 For severely fluid restricted patients such as neonates and children, use an infusion pump in series with the flush device to accurately regulate the minimum amount of flush solution needed to maintain catheter patency while allowing continuous pressure monitoring. Do not allow air bubbles to enter the setup, especially when monitoring atrial pressures. Avoid contact with any topical cream or ointment that attacks polymeric materials. Do not expose electrical connections to fluid contact. Do not autoclave the reusable cable. Air can enter the patient through stopcocks inadvertently left open, from accidental disconnection of the pressure setup, or from flushing residual air bubbles into the patient. 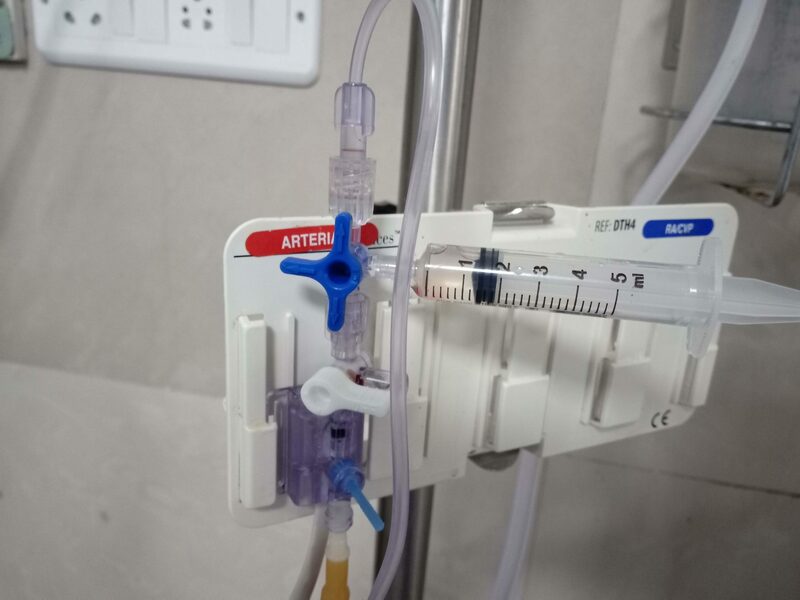 If the flush system not pressurized adequately relative to the patient’s blood pressure, blood bleed-back and catheter clotting may occur.